6/22 Weightloss Wednesday: Over 45 Lbs Down! It’s time for Weightloss Wednesday! We are coming off of an incredible 28 Day Challenge and I am continuing to see some amazing results. As of this morning, I am at 254.5 lbs which means that I am down 45.5 lbs for the year and 145.5 lbs from when I was at my heaviest. This is such an encouraging thing to see and just reminds me again that I am on the right track and that the LCHF/Keto lifestyle works and works amazingly well. My exercise routine of hopping on my bike for 5 miles a day has been made a little tougher by the fact that it is roughly one million degrees outside at all times but I have been faithful to get those miles in before cooking dinner. I think I’m almost to the point where I actually enjoy exercise which I never thought I would be able to do. In other news, I feel fantastic! I got the first blood screening in my life back from the Doc on Monday where I am perfectly within the normal range on every single blood marker. That is such an amazing thing. I feel like the last thing I need to get a handle on is my blood pressure, once I get that in a normal range, I’ll actually be able to think of myself as a healthy person. How are you doing on your weightloss and health goals? 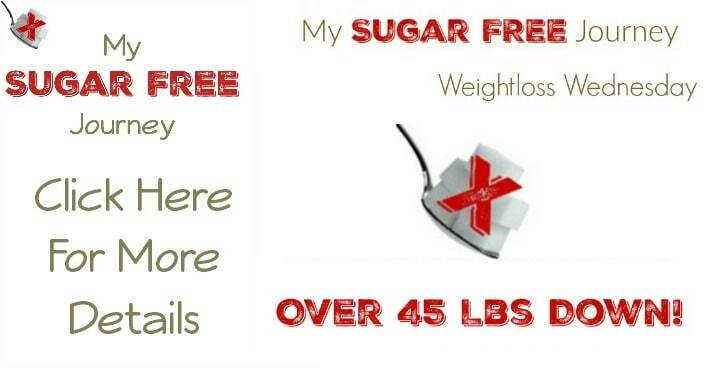 Please tell me in the comments because I love hearing other people’s weight loss stories! PREVIOUS POST Previous post: 7 Awesome Low Carb, High Fat Breakfast Recipes! 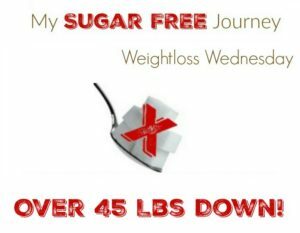 NEXT POST Next post: The My Sugar Free Journey Book Club Starts Next Week!